William Jackson, born 1827 in Boone County, Kentucky, is found in the 1850 census living in Rushcreek Township, Logan County, Ohio with his new wife Elizabeth McLaughlin. 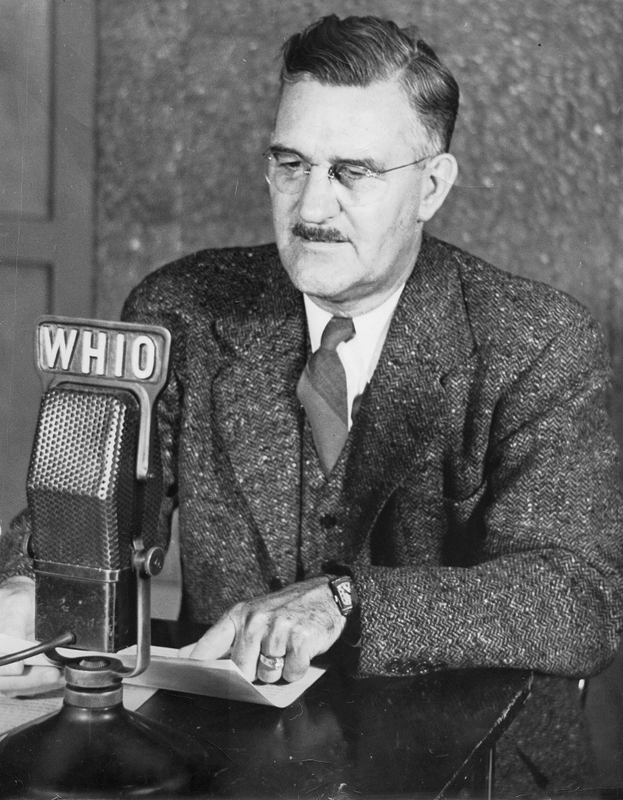 They were in Liberty Township, Hardin County, Ohio in the 1860 census, with the first four of their eight children. In the 1880 census he indicated both parents were also born in Kentucky. We do not know which Jackson family of Kentucky William came from -- possibly the "M. E. Jackson" of the 1840 census of Boone County was his father. 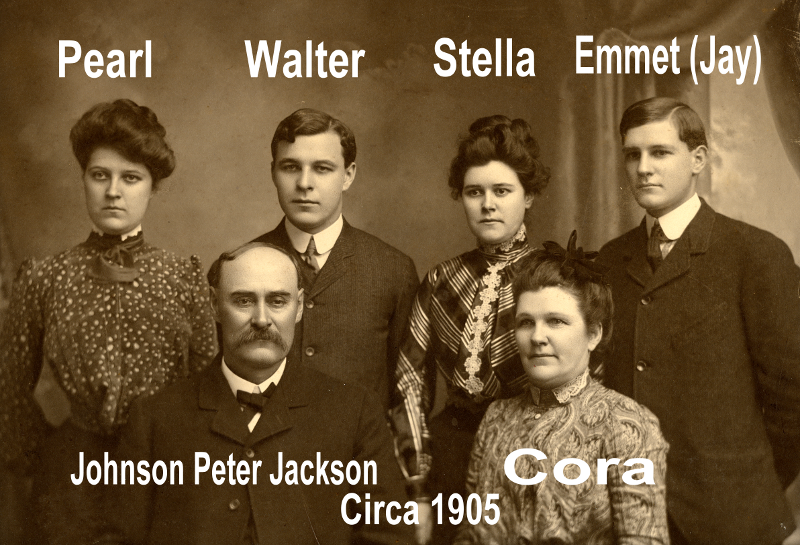 His son Johnson Peter Jackson, born in 1854, became a railroad conductor and lived at Ft. Wayne, Indiana with his wife Cora Catherine Marshall, where they raised a family of four children, two sons and two daughters. 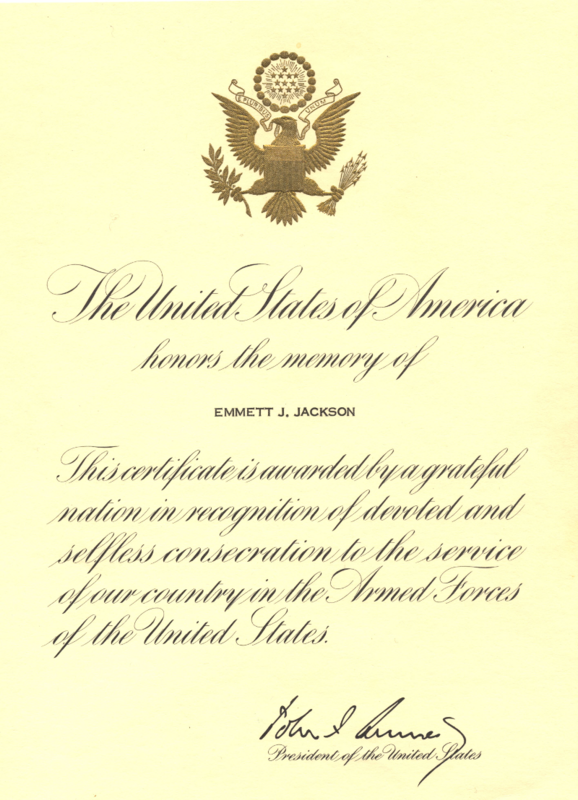 Son Emmett J. Jackson, born 1885, became a lawyer and judge, and served in both World Wars, resulting in the presidential certificate below, issued from the Kennedy White House. 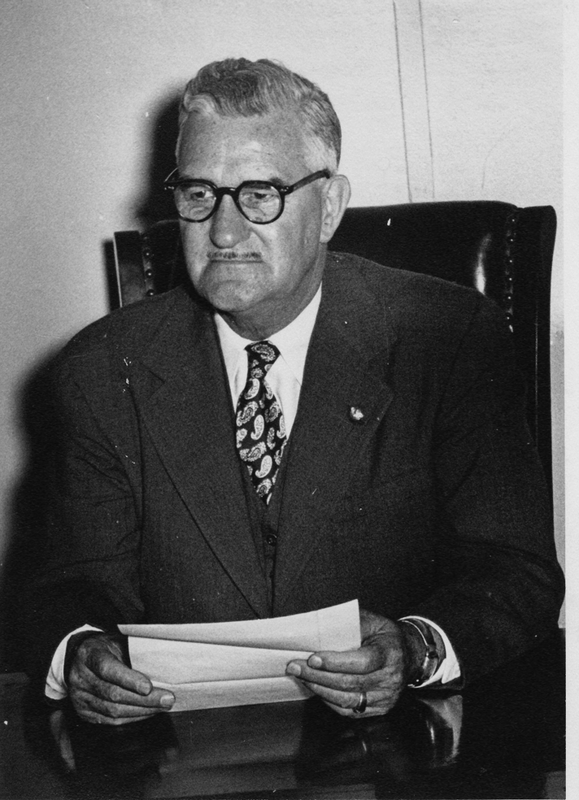 Judge Jackson sat on the bench at Lima, Ohio in the early 1920s, and then relocated and took a judgeship at Dayton, with service in the U.S. Army Judge Advocate office in Texas during WW II.